What are the Greatest Songs for Slideshow? Music is an essential part to a successful slideshow. A slideshow without music is just like a silent movie. For everyone’s taste in music is different, it’s a bit daunting to find the best song which is appropriate for your slideshow theme from millions songs. 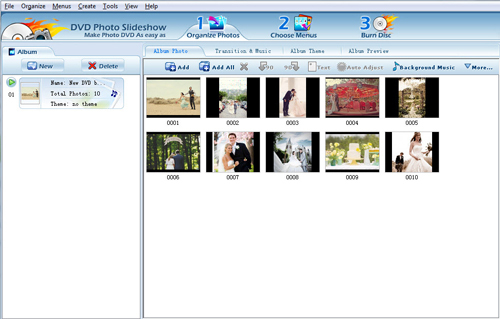 After digging, I list some of the most popular songs for slideshow here, including music for wedding slideshow, birthday slideshow, graduation slideshow and more. To create a slideshow, Photo Slideshow Director HD can be a good choice, which is a very useful and popular iPad slideshow app. The app enables you to import photos from iPad and web albums(Flickr, Picasa, Facebook, Dropbox, SkyDrive and Instagram), add kinds of slideshow effects and music, then save and share the music slideshow on TV/ YouTube/ Facebook/Dropbox/SkyDrive. 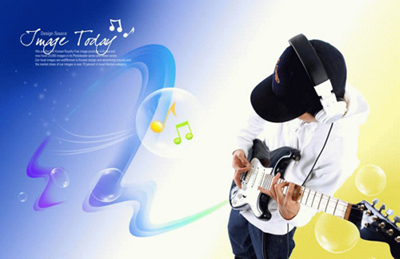 Popular songs for slideshows are listed below. 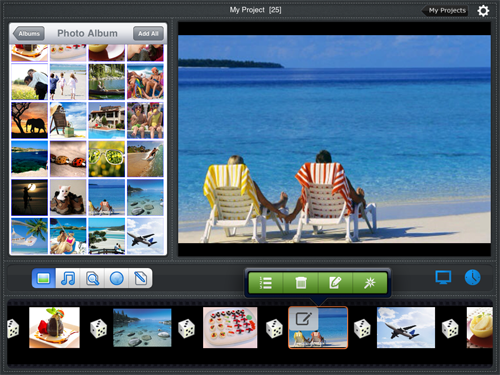 Photo Slideshow Director HD for iPad: Photo Slideshow Director is a HD photo slideshow app that lets you use your iPad to organize your digital photos from camera roll, picasa web albums,Facebook photo albums, Flickr photo sets and create eye-catching slideshow in minutes. It’s an idea tool for you to share your great shots with family and friends on big screen HDTV with iPad, it is also a great software for you to present your business photos quickly and easily. DVD Photo Slideshow for windows: DVD Photo Slideshow lets you create entertaining slideshow DVD and video you can watch on TV, play on mobile devices such as iPad, iPhone, iPod touch, PSP, PS3, Archos, and even upload to YouTube, Facebook, MySpace, etc. Just select your photos and drop them to the slideshow, add a custom soundtrack, pick from 360+ stunning transition effects, choose from Hollywood style DVD menu templates, burn to DVD disc or create MPEG, MPEG-4, FLV video files for any mobile device or posting online.